My Miracle Manifestation Quartz Cluster! There are multiple crystals growing inside of the points. You know you’ve got a real case of the Mondays when your car breaks down underneath the freeway, and you have to call a tow truck to get it to the shop. Then you get the message that your engine is completely destroyed, and that the price tag will be in the seven thousand dollar range. This was quite a shock, since my MINI Cooper has been taken care of pristinely and the mileage is still relatively low. My wonderful partner, Robert, used his helpful masculine energy to express our discontent and to request that they do something to make this situation better. But the outlook wasn’t so good. The warranty had just expired a few months back. So I went into my crystal room to center myself, when I saw my beautiful Manifestation Quartz cluster glittering at me in a way that seemed like a cosmic wink. Alright, why not use crystal power to manifest a better outcome? While I was in meditation with the cluster, I called in all of the souls at the dealership who had the power to make decisions in my case, and I sent them all a transmission of love and light. Then I clearly stated my desired outcome, “The price of my car repair is significantly reduced, and I get it back no later than Monday of next week.” I visualized this happening as completely as possible, using all of my senses. Within only ten minutes of doing this meditation, I got a phone call from MINI. They were going to split the cost of the new engine with me, and it would be done by Friday! I could hardly believe it. But it got even better. A few days later, they called to tell me that they were able to knock another twelve hundred dollars off of the price for me. As promised, I got my car back on Friday, and my total bill was about $5,000 less than I was originally quoted! This just happened about two weeks ago, and it is just one of many success stories I’ve had using Manifestation Quartz. It is like having your own personal Merlin, who can assist you in tapping into the most desirable potential outcome and pulling it into your physical reality for quick and accurate manifestation. Manifestation Quartz is a rare formation in which a smaller Quartz crystal is completely encapsulated inside a larger Quartz crystal. These are not to be confused with Phantom Quartz crystals, which are an entirely different creature. Phantom Quartz has a ghost-like shadow inside of it, which can occur when minerals collect on a crystal matrix in the Earth. Then at a later time, new solution is brought back into the picture, causing the crystal to grow again around the phantom. Manifestation Quartz is a complete Quartz crystal that forms and lives inside of another Quartz crystal, like an embryo inside of its Mother. The outer, host crystal symbolizes you. The inner crystal can be seen as the seed of your creation, what it is you want to manifest and bring into form. It also represents your spiritual resources, your inner Master, your soul who expresses its light and magic through you. The first time I worked with Manifestation Quartz, I felt like I had a magic wand that focused my intentions into the Universe like a laser beam. Any Quartz will naturally absorb, store, amplify, and direct energy. Quartz radiates pure white light and can be programmed for any purpose. It is one of the most versatile crystals, and it is a healing stone that can replenish energy and raise your vibration to a higher level. So when you have one Quartz crystal growing inside of another, It’s like a double amplification of power. Manifestation Quartz connects with the highest and purest frequencies of creation, and it directs this Divine force to animate our dreams and makes them so. This crystal can enhance fertility in all senses of the word; it can powerfully activate your sacral chakra, your center of creativity. It also activates your solar plexus, your center of manifestation and personal power through which you make things happen in your physical reality. When these two chakras are activated and aligned, whatever it is you focus on will grow and thrive. But one of the biggest keys to making things manifest in your life is ensuring that your will is aligned with the Divine Will, and that all parts of yourself are clear and in agreement with your vision. Manifestation Quartz can also activate you higher chakras and help you connect with your soul and your true Divine Blueprint. 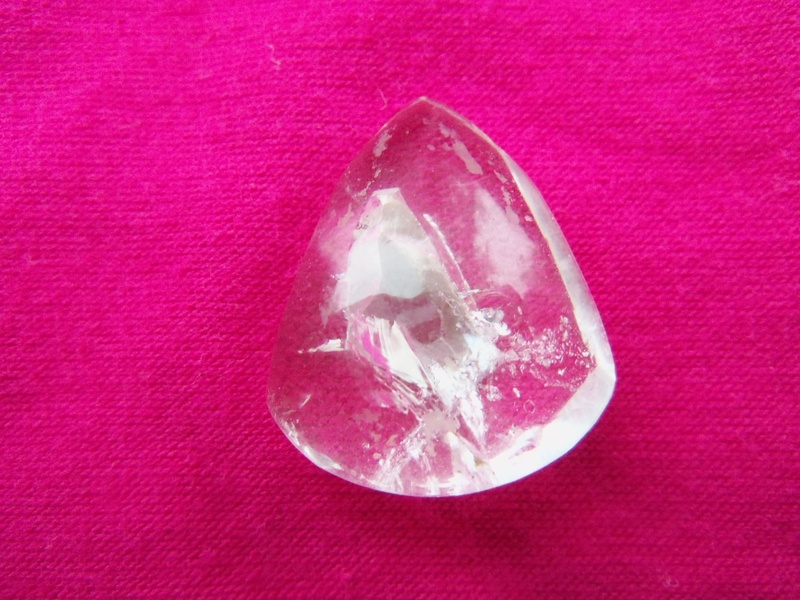 So if you are experiencing any uncertainty about what is in your highest good to create, it is recommended that you meditate with Manifestation Quartz at the third eye or crown. Ask for more clarity about your soul’s highest vision. Once you get a clear picture of your highest path, and you feel that all aspects of yourself are on board and excited, then it is time to work with your Manifestation Quartz to draw it into your reality. And how does that work exactly? Here is a message that I brought through about reality-crafting from my beautiful Manifestation Quartz cluster. “Dear Beloved Humans, do you have any idea how powerful you are? Do you realize that you are plugged into a matrix of infinity, where anything can happen? You can have what it is that you truly desire, for all probable futures that you can imagine already exist. It’s just a matter of pulling in the one that you want to experience, and there are simple mechanics to it all. Do you realize that there is much more to your imagination than fantasy and ‘make-believe?’ What if it were true that, when you are ‘imagining,’ you are not making things up at all, but instead you were tapping into real alternate realities and timelines? Entertain, if you will, the concept that every possible outcome to each scenario or decision or idea you have exists in a dimension beyond time and space. What if you could step outside of your reality and look at all of the possible outcomes and choose the best one? Through your imagination, you can do just that! Call in Divine Source, your higher self, and spirit, and ask for guidance in creating the highest outcomes for yourself. Then cleanse your Manifestation Quartz, and place it at your solar plexus chakra or third eye. Formulate a clear sentence that encapsulates the outcome you desire, in present tense form. I did this when I declared, “The price of my car repair is significantly reduced, and I get it back no later than Monday of next week.” You can add to your statement, “This, or something better, manifests easily for me now if it is for my highest good.” Now fully envision the outcome you desire, with all of your senses, and make it as real and vivid in your mind as you can. Play the scene in your mind and feel all of the positive emotions associated with getting exactly what you want. At this point, you are beginning to move into vibrational alignment with the timeline in which this happens. To bring even more clarity to this process, I suggest imagining a symbol to represent your desired manifestation. It can be something very simple, like a red triangle or anything else that comes to mind. Superimpose this symbol over your vision of your ideal outcome or timeline, as if you are putting your mark or energetic signature on it. 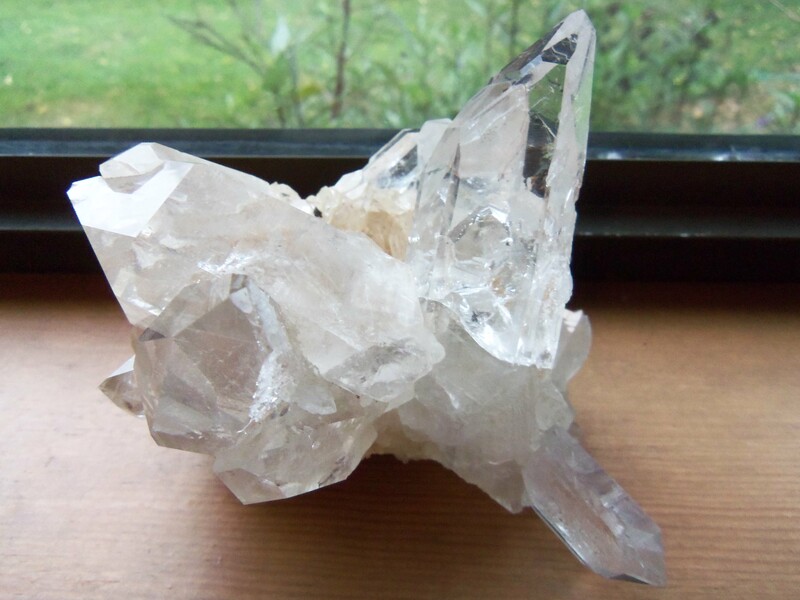 Now mentally project the symbol you came up with into your Manifestation Quartz. See the energy of your desire flowing into the smaller, internal crystal, where you are planting it as a seed for manifestation. Imagine the symbol inside of the internal crystal glowing more and more radiant, as if it is building in energy and magnetic force. Now that you have encoded the crystal with your symbol, imagine a powerful laser beam of light emitting from the crystal and connecting with the ideal timeline that you have marked with the matching symbol. Feel the connection, and then allow yourself to feel the magnetic sensation of pulling that reality into yours. You might be surprised at how clearly you can feel this happening. There are real mechanical forces at play here! Direct the incoming energy of your ideal timeline into your solar plexus chakra. Now you are one with your desired outcome. While it is great to do this to improve your personal reality, I want to also invite you to create big and beautiful visions and outcomes for this entire world. We are at a pivotal point in the evolution of the planet and of humanity. It’s cosmic election time, and we all have an energetic vote and a say about what happens here. Remember that we have more Divine help than ever right now, and they will add their power, love, and assistance to our efforts, if we just ask them to help us. Also remember that one positive thought or energetic transmission can cancel out hundreds of lower ones. So spend some sacred moments surfing the timelines until you find one where all beings on the Earth are honored. Start pulling in the one where we are living in harmony with the planet and where we have allowed in brilliant technologies to clean up the pollution we have caused. Or how about the one where we realize that war is not the answer and where we all have an instant spiritual breakthrough that makes violence impossible? Once you think you’ve imagined the best possible reality ever, challenge yourself to make it even better. Remember that you are an Ambassador of Light, a Master who is here to change the world. And you are doing it every day by being you. Happy Manifesting!